For the Television Crossover Hall of Fame in 2016, the whole year has been given over to the theme of the League of Themselves. Even with our (hopefully) only memorial induction - David Bowie* - we kept to the theme. But March is the month in which we traditionally induct a member of the League of Themselves, so I'm afraid it would have been lost in the sauce unless I chose someone with "the goods". Someone who was best known for so many appearances as themselves in a variety of shows. Celebrities like Jay Leno, Milton Berle, and a certain gasbag of questionable hair who is currently running for President, etc. Arthur Gordon "Art" Linkletter (born Gordon Arthur Kelly, July 17, 1912 – May 26, 2010) was a Canadian-born American radio and television personality. He was the host of House Party, which ran on CBS radio and television for 25 years, and People Are Funny, on NBC radio and TV for 19 years. Linkletter was famous for interviewing children on 'House Party' and 'Kids Say the Darndest Things', which led to a series of books quoting children. He became a naturalized United States citizen in 1942. In 2005, at the age of 93, he opened the Happiest Homecoming on Earth celebrations for the 50th anniversary of Disneyland. Half a century earlier, he was the commentator on the opening day celebrations in 1955. For this, he was named a Disney Legend. He received a lifetime achievement Daytime Emmy award in 2003. He was inducted into the National Speakers Association Speaker Hall of Fame. He was perfect for that amiable, somewhat bland, raconteur who could be beamed into America's living rooms and unite the audiences with his comfortable "conversations" with them. 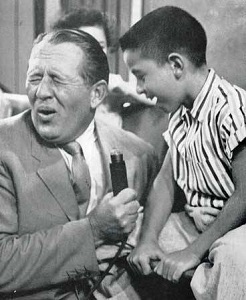 Art Linkletter reprises his role as a children's interviewer from his show "House Party" and asks four youngsters about their romances. 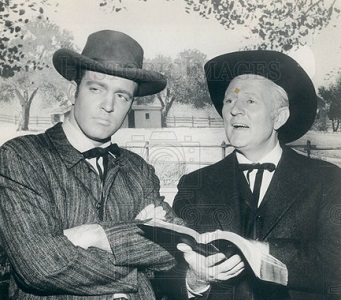 He then interviews Don Wilson, Peggy King, Rochester Van Jones and Jack Benny who pretend to be nine-year-olds. Linda promised she wouldn't touch Danny's tape recorder. 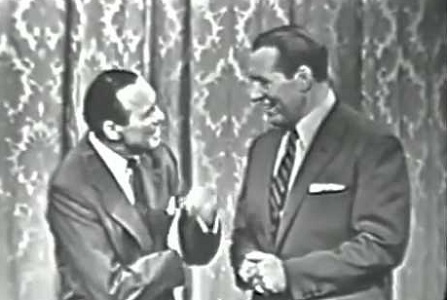 Danny promised Linda could go on Art Linkletter's show Kids Say the Darndest Things. When Danny discovers Linda has recorded over all the material for his new act, she gets a spanking and grounded for the weekend: a promise is a promise. Linda tells Danny she can't stay in her room the ENTIRE weekend, she's supposed to be on the show Saturday. Linda is mad and repeats back to him: a promise is a promise. Now Danny's worried what she might say. 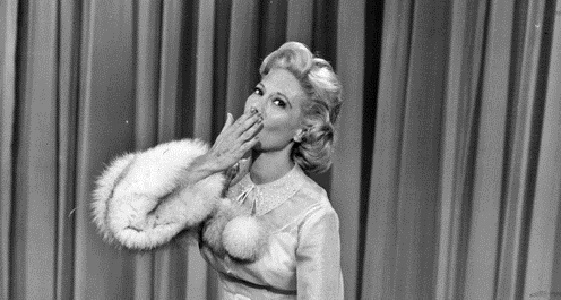 As a contestant on Art Linkletter's television show, Lucy is offered $200 if she can shut up for 24 hours. Art sends along another audience member, Ruth, to see how she does. Ruth's a plant from the show who tries her best to make Lucy scream, as are the one-armed "fugitive" and cop who shoot it out in her apartment, and the guy in the gorilla suit that attacks her. Ruth is played by Doris Singleton who played 'Carolyn Applebey' on I Love Lucy. Lucy is chosen on an audience participation game show. 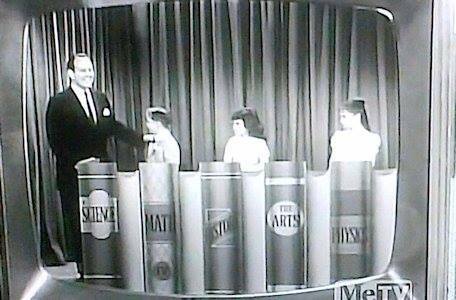 The host, Art Linkletter, offers her $500 if she won't lose her temper for 24 hours. When she's escorted off the stage, the host then brings out Harry, Mary Jane, & the kids, offering them $250 each if they can make Lucy lose her temper! They do everything possible to make Lucy lose it, but she overcomes temptation. Lucy manages to demolish a grocery store! Although it doesn't count towards his inclusion in the Hall, Mr. Linkletter appeared in several TV productions as other characters, adding to the citizenry of Toobworld. 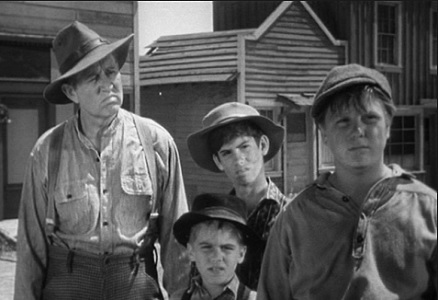 Two of these were in 'Wagon Train' (in which he was taking care of some orphans, including one played by Rusty Stevens - better known in Toobworld as Larry Mondello of 'Leave It To Beaver'), and as "The Bible Man" in an episode of 'The Zane Grey Theater' in which his real-life son Jack played his son as well. So here's to you, Mr. Linkletter. In keeping with today's date being National Pun Day, March Forth into the Television Crossover Hall of Fame! 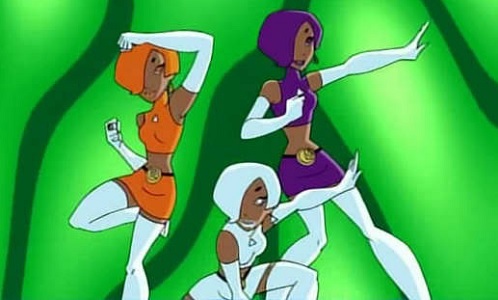 BRING BACK THE LEGION OF SUPER-HEROES IN TOOBWORLD! But another crossover between both series happened during that trip through the Vortex. Besides other DC super-heroes who would be showing up on the other CW shows 'Arrow' and 'Legends of Tomorrow', there was also the quick cameo of a ring belonging to a member of the Legion of Super-Heroes. 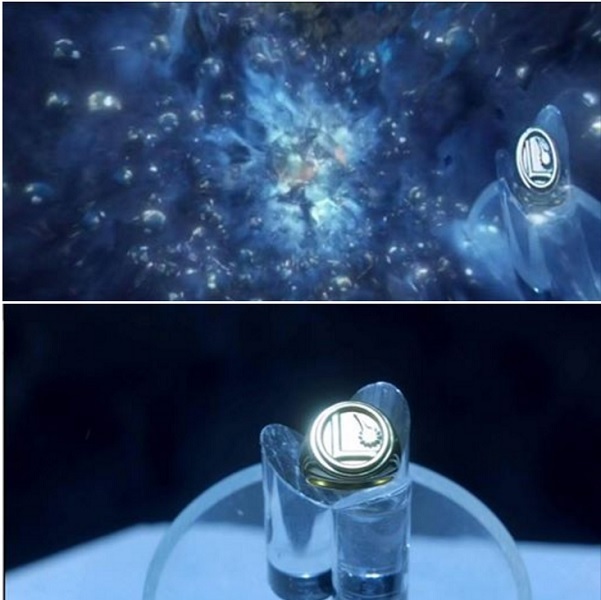 It would be established in the 'Supergirl' episode that what we were seeing was the same ring as seen on display in the Fortress of Solitude, which one would have to assume belongs to Superman from his teen years when he was a member of the Legion. The Legion of Super-Heroes is a 30th Century inter-galactic team of super-powered young adults. Inspired by the legend of Superboy, they were founded by Cosmic Boy, Lightning Lad and Saturn Girl under the funding of an eccentric millionaire they had saved named R.J. Brande. This cast expands to include dozens of members with a diverse array of powers and personalities. But which LoS-H member should it be? I have yet to see any indication that any one of them will be coming to the CW or CBS, and those appearances of the Legion ring may have been just teases about the the past history of the CW's version of Superman and nothing more. 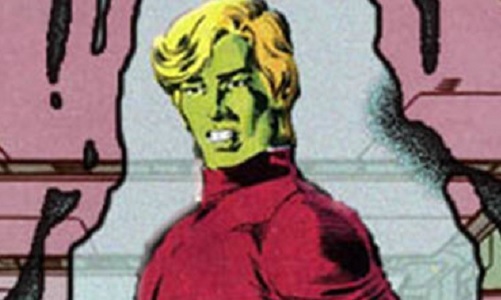 Since we know that it would be some other TV dimension in which those Legionaires appeared, there is no danger in a Zonk should they recast those three main members of the Legion for this other comic book TV world. I considered my options almost as if I was a producer for those series - that is, with an eye on production costs in both costumes and special effects concerning their powers. 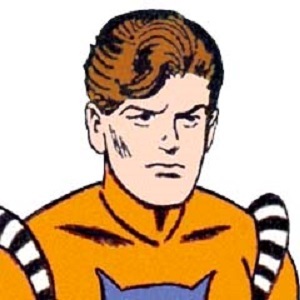 But I also would have no quibble with several super-heroes in the Legion showing up, perhaps spread throughout the "Berlantiverse" and establishing them all with a fifth series in mind that dealt with them in the far Future. For most of the depictions of the characters, I've used their counterparts from the Tooniverse. 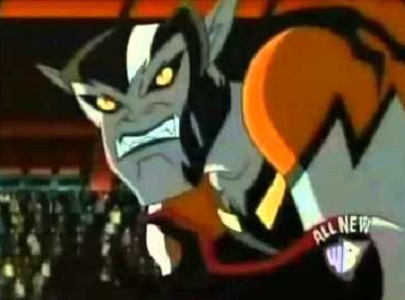 The exception being Brainiac 5 as seen in 'Smallville'. 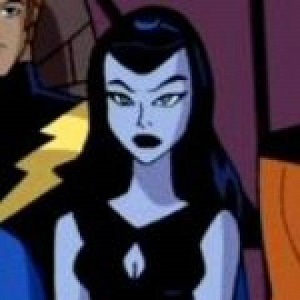 Born Tasmia Millar, Shadow Lass has blue skin and has the ability to manipulate darkness. (In my crossover dreams, I'd love to see her face off against the Vashta Narada from 'Doctor Who'.) 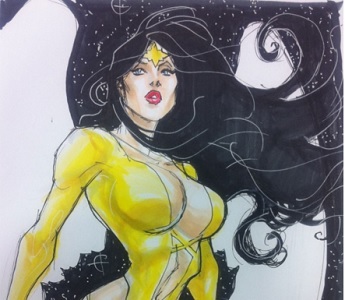 Definitely the sexiest of the women in the Legion (but she can't top my fixation on Starfire!) Again, she would be an easy character to portray and with powers that would be simple enough to depict on screen. Luornu Durgo has the natural ability to split into multiple bodies. And each of those three bodies should have a distinct personality. One of them could be detrimental to the abilities and health of the other two bodies. And that body could be the one who eventually got murdered in what is probably Triplicate Girl's best-known story in the comics, which led to her being called Duo Damsel. It's a story that would make for a great guest appearance in any of the shows, one in which that murdered body could have sacrificed her "life" in order to save the other two. Dream Girl is one of those characters who don't have to be considered a member of the Legion of Super-Heroes. 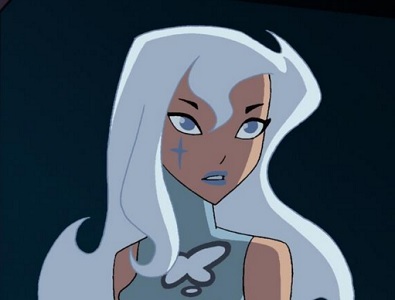 Nura Nal had precognitive abilities which could only be accessed while she was asleep. So she could be outside the suspicions of the heroes who are investigating the activities of her alter-ego. By the end of the adventure, she could see the light thanks to one of her visions and realize that she should be on the side of the angels. Several hours after posting this, I went in to Facebook and learned that a fellow member of a couple FB pages dedicated to comics - like one for the Justice Society of America and one for the subject of our topic today, the Legion of Super-Heroes - had passed away. Michael Lash was a self-proclaimed "Nerd At Large" - that's his description in his profile page - and I have to confess to jealousy that I didn't come up with that description for myself. Since the year has given me an extra day this month (which is stealing a couple of my days off during the holiday season, grrrr), I want to put the spotlight on two characters from 'Make Room For Daddy', their maids Louise Evans and Louise (last name unknown). 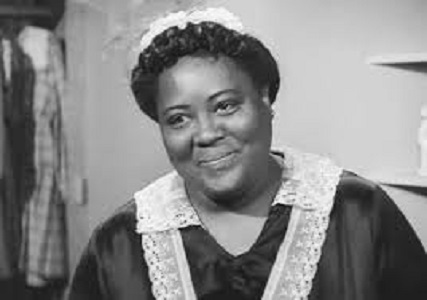 From the show's inception until 1954, Louise Beavers (perhaps best known in Toobworld as 'Beulah') played Louise. In the real world, Ms. Beavers left the series due to illness. 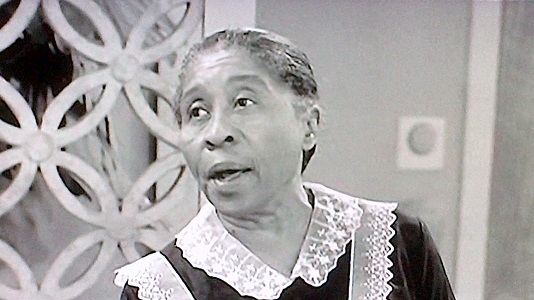 Amanda Randolph joined the cast in 1954 and saw it through to the series conclusion in the role. She also played Louise in the reunion special but she passed away before it aired. For any ordinary TV viewer, this was just a case of recasting. But I believe they were two different women who both happened to be named Louise. I don't think the last name of "Evans" was ever mentioned in connection with Amanda Randolph in the role. So I think it only applies to Louise Beavers as Louise. Louise Evans might have a few theories of relateeveety connecting her to other TV characters. I think she had a twin sister named Beulah Brown. Either Louise or Beulah or even both may have been married in the past and that would be the splainin as to why their last names were different. Here's one more theory: Louise - either the First or the Second - may have been a family member or trusted family friend who was given the honor of having someone named after her. That would have been Louise Jefferson. Remember, there's a reason these are theories of relateeveety. I can't prove them, but they work for me in connecting all of these series together. Just a few days after inducting Jackie Gleason into the Television Crossover Hall Of Fame on the 100th anniversary of his birth, we're doing it again with Dinah Shore. Eventually "Ms. Mwaaah" would have made it into the Hall on her own merits - as you can see below, she had more than enough credits to warrant membership. But it feels nice to also acknowledge the late singer/actress on her special day... and Leap Day at that! Dinah Shore (born Frances Rose Shore; February 29, 1916 – February 24, 1994) was an American singer, actress, television personality, and the top-charting female vocalist of the 1940s. She reached the height of her popularity as a recording artist during the Big Band era of the 1940s and 1950s, but achieved even greater success a decade later, in television, mainly as hostess of a series of variety programs for Chevrolet. After failing singing auditions for the bands of Benny Goodman, and both Jimmy and Tommy Dorsey, Shore struck out on her own to become the first singer of her era to achieve huge solo success. 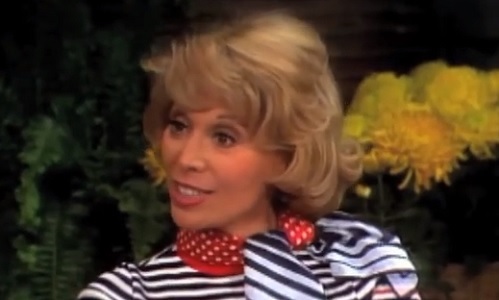 She had a string of 80 charted popular hits, spanning the years 1940 to 1957, and after appearing in a handful of feature films went on to a four-decade career in American television, starring in her own music and variety shows from 1951 through 1963 and hosting two talk shows in the 1970s. TV Guide magazine ranked her at #16 on their list of the top fifty television stars of all time. "Mel's In The Kitchen With Dinah"
"Dinah And Danny Are Rivals"
"Someone's On The Ski Lift With Dinah"
I wouldn't have a problem including her serlinguistic turns as she told us to see the USA in a Chevrolet since she had more than enough credits already for membership. So here's to you, Ms. Shore. Welcome to the TVXOHOF. WOI-TV signed on the air on February 21, 1950. It was Iowa's second television station, following WOC-TV (now KWQC-TV) in Davenport. Originally on channel 4, it moved to channel 5 in 1952. Programming came from ABC, CBS, NBC, and the DuMont network during the station's early years, but it was a primary CBS affiliate. NBC disappeared from the schedule when WHO-TVsigned on in 1954, and CBS disappeared when KRNT-TV (now KCCI) signed on in 1955 owing to KRNT radio's long affiliation with CBS radio, leaving channel 5 as the ABC affiliate. During the late 1950s, the station was also briefly affiliated with the NTA Film Network. WOI-TV was originally owned by Iowa State University in Ames along with its noncommercial WOI radio stations (AM 640 and FM 90.1), making it the first commercial television station in the United States to be owned by a major college. As such, it carried some educational programming from sign-on until the Des Moines Public Schools signed on KDPS-TV (channel 11, now KDIN-TV) in 1959. The startup costs for WOI-TV were paid by the remaining monies from a federal grant awarded to the university for work on the Manhattan Project. WOI's facilities were used by the university to deliver lectures by satellite. One of the shows that was produced by WOI was 'Seventeen', their version of 'American Bandstand' or 'Soul Train' back in 1958.